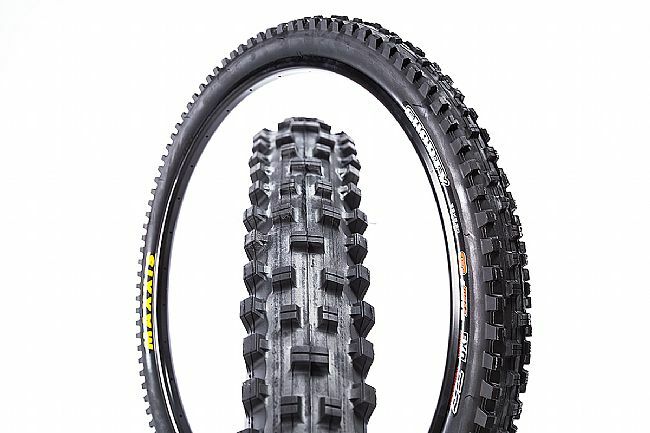 The Maxxis Shorty MTB Tire mimics the cut-down mud spikes used in World Cup Downhill races. The aggressive and blocky design sheds mud and hooks up in sloppy conditions, but the shorter knobs provide more confidence for when the trail dries out. This increased versatility is helped along by Maxxis's 3C MaxxTerra compound that uses a harder durometer base for added durability and two different compounds on the the center and shoulder tread for better traction and less rolling resistance. 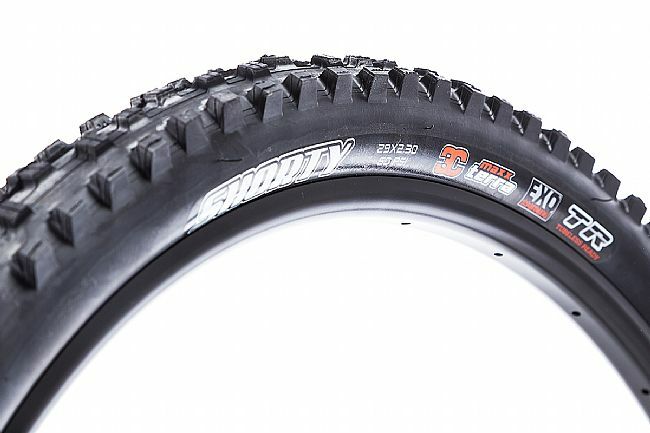 This version of the Maxxis Shorty features a single-ply 60 TPI casing that's optimized for 35 mm rims, and it uses EXO sidewalls to thwart cuts and abrasions on rocky trails. 29” x 2.3”. Folding bead. Claimed weight is 910 g.